Though one of the most mature industries in cybersecurity, the Financial Services industry has seen some of the largest explosion of innovation and technology. While startups and innovators are focused on speed to market and leveraging cloud infrastructure and cloud platforms as a service, the need for security in financial technologies is paramount. 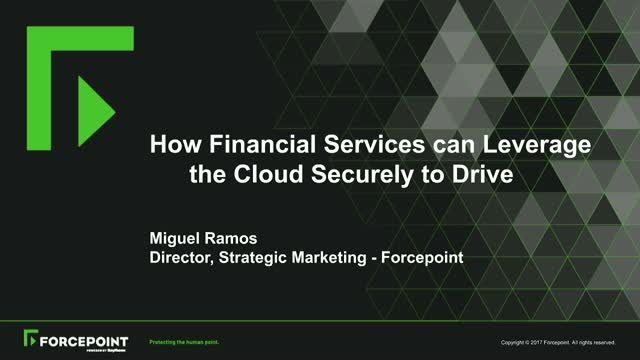 In this session, Miguel Ramos will use case studies and his experience to outline key steps that can be taken to secure financial technology innovators, and explain how traditional, cloud and potentially even blockchain technologies can be used by corporations to ensure the security they need to drive business forward.